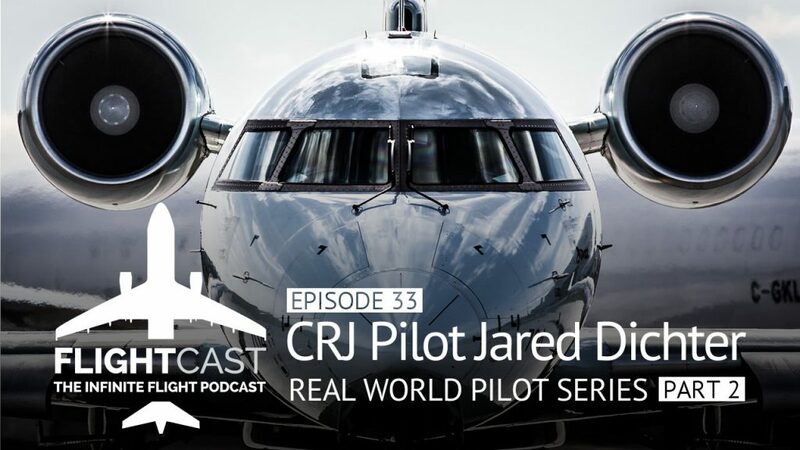 We’re back yet again with our real world pilot series for another chat with CRJ Pilot, Jared Dichter. This week, Jared flew his CRJ into Mobile, AL where FlightCast co-host, Mark Denton met up with him for the interview. Our last episode with Jared just wasn’t enough time so he’s back to give us some technical specs on flying the CRJ as a regional pilot. Infinite Flight regular Joe Reilly also joined us today so enjoy as we have some fun and other week of FlightCast! Episode featured photo of CRJ used with permission courtesy of Jan Jasinski.